Let’s start with the downs. As you may know from my latest entries in this blog, 2018 was the year I was going to release a new game. Lasting Legacy was my second collaboration with Noel Llopis, a game about growing the many generations of a family through the eighteen and nineteen centuries. 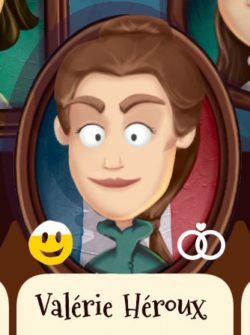 The game had a cool family tree interface, and I was really proud of my art for it, having built a random character portrait generator where the results still looked like little animated paintings out of a Jonny Duddle children’s book. The many faces of Lasting Legacy. Sadly Noel decided to stop working on the project at the beginning of the year. You can read his thoughts about it in his blog, but basically it was taking too long and he didn’t think sales would even cover costs, so he decided to move on. At which point I had to make a decision: continue on my own, or start something new. There was a lot to like about what we had up to that point, but also a lot I would have done differently by myself, so at the end I decided to park the project until I could figure out what to do with it (more on this later). I had high hopes for Lasting Legacy, so starting the year like this was not personally great. 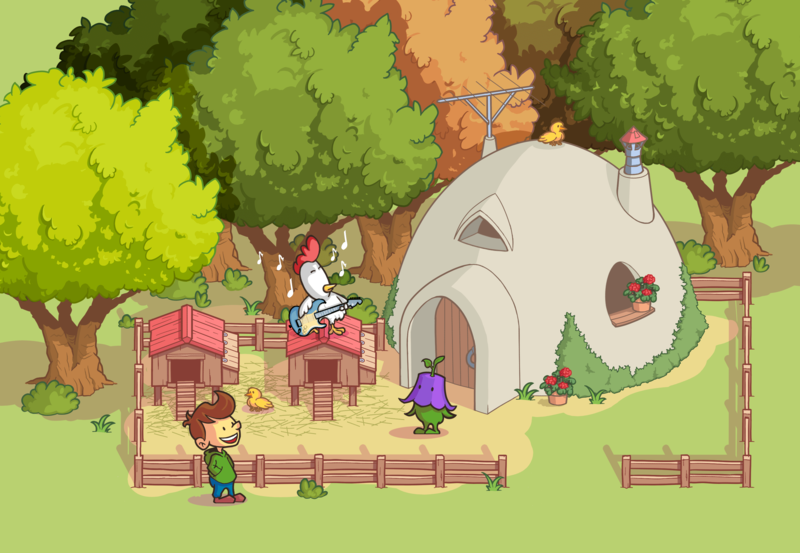 So in March I went through that list of unfinished projects I have been both nurturing and neglecting for years, and spent some time trying to simplify my animal burglars video-game. 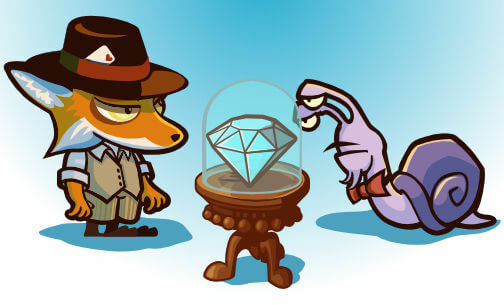 I love the art I did for it; if I don’t ever finish this game I should at least use the characters in other games. Sorry, more waiting for you guys. 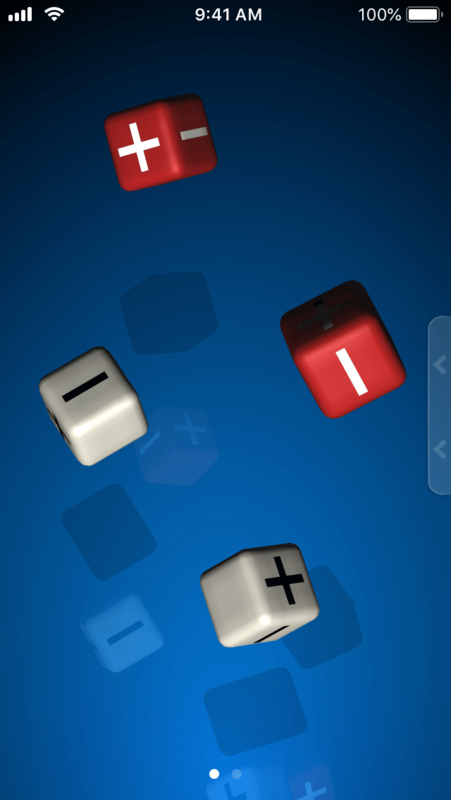 However, at the end it was an older concept I had for a game jam that caught my imagination. The theme of the jam was “quests” and my idea was simple: you need to solve as many quests as possible in what looks like a typical top-down RPG game. The only issue is when you go around the map, only one person is marked as a quest giver… so how do you get the other quests? You grab that question mark off his head and put it on somebody else! As you do this you discover, even monsters have quests for you! That was the original idea, but you know I am always looking for ways to make my work harder, so… why limit the PC to only grabbing quest marks? Why not anything on the interface? 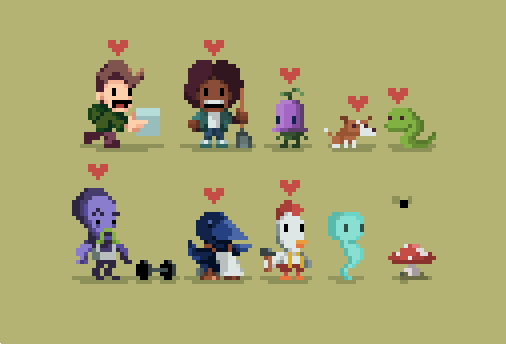 Although I had been doing pixel art for this, after a lot of back and forth I decided to try full cartoon characters, and even designed a bit of the environment. That chicken really needed a Stratocaster. To tell you the truth I am still unsure about what to do here. 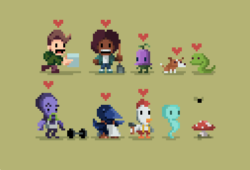 My illustration skills are way better than my pixel art, but they also require a lot more work, especially for animations… maybe I should just do a small pixel game with this idea, instead of my usual approach of growing that scope to the point I have to slither away from under its weight. I will work more on Re-Quest in 2019, I think it deserves the effort. Around halfway through 2018 Apple sent me an ultimatum: if I didn’t update my dice rolling app Pip, they were going to remove it from the store. Last time I had touched Pip was 2010, and although it was miraculously still functional the list of things it didn’t support included retina displays, devices with aspect ratios different than the original iPhone, sleeping when transitioning to the background, a 64-bit only OS, or Metal. Pip doesn’t bring enough money that updating it was a priority, but I really didn’t want it to disappear so I spent a month on it and shipped a nice new version. I will write more about Pip 3 some other day, but finishing something, shipping it, and reading all the nice things old and new fans wrote in their App Store reviews, was exactly what I needed to boost my morale. During 2018 I also got back to playing pen and paper role-playing games. 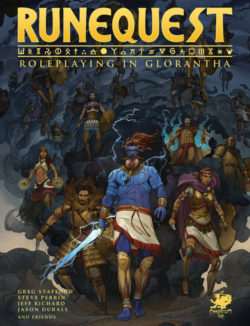 The untimely death of Greg Stafford, and quite a few Persuasion rolls on my part, convinced my brother to go back to the land of Glorantha and try out the newest edition of RuneQuest. Playing with him and his wife over FaceTime every couple weeks has been a fun way to reconnect. If like me you were exiled far away from family or friends because of your dislike of soccer, roleplaying online has never been easier, whether with specialized tools like Roll20 or just video conferencing and a willingness to “Synchronize Swatches!” across time zones. I made some new friends too while looking for RPG players in Seattle. And, since I didn’t have enough other projects in the works, I even agreed to collaborate in the writing of a Dungeon Crawl Classics supplement with one of them (hey Trevor!). I must assume he never bothered to read through my blog; he would have not asked if he had read any of the language gymnastics I go through in here. 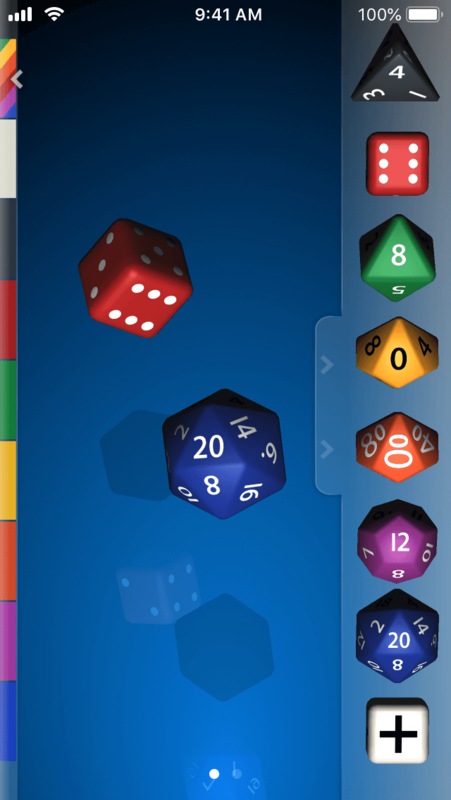 In any case Pip may get a new update at some point in 2019 because of this, since it is currently lacking the necessary Zocchi dice. In keeping with the prophecy of my death by a tipped over shelf full of cardboard and plastic, as foretold by a gipsy vendor of roasted chestnuts I didn’t tip at all last winter, I also bought a few dozen pounds of board games this year, and played quite a few of them with friends. My own narrative card game of eldritch horror, Cults of Cthulhu, is also coming along… but getting it done will depend on how much time the other projects take. So going back to where we started, I finally got an idea for what to do with Lasting Legacy, by combining it with the code I already have from Pip! The concept is simple: can your family survive their own black sheep? 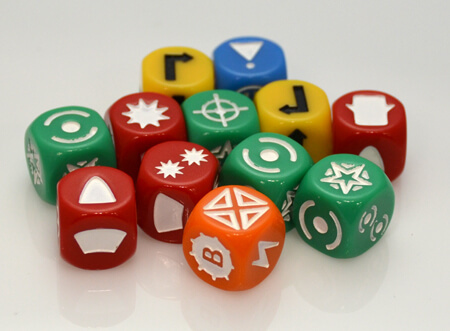 Every year you get as many special dice as able family members in your family tree. The type of die, and the results in each side, depends on the person: workers get money dice, socialites get prestige dice, etc. But some people are “black sheep”; they have disruptive tendencies that spend your resources, adding black dice to your total. 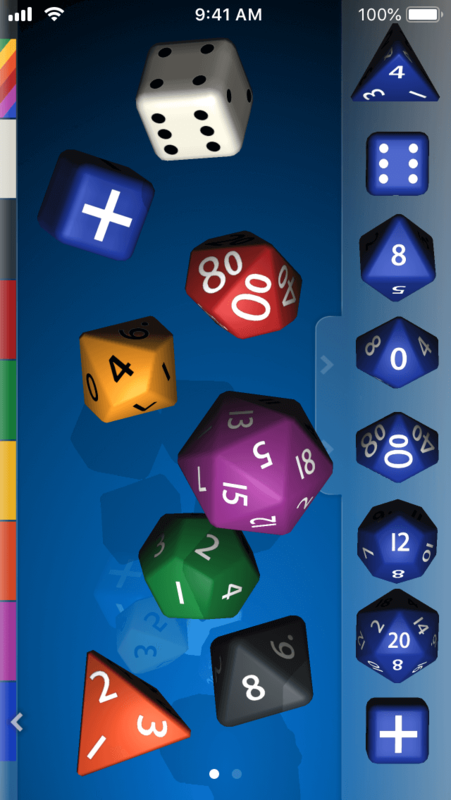 You roll the dice, add up all the resources you got in normal dice, subtract the ones you got in black dice, and the total is the resources you have to spend that year. You assign them to individual family members to pay expenses and debts, socialize with the intent of marriage, educate and employ, and solve problems like sickness or other random events. Each character has their own wants though, so you must carefully balance how you use your resources. 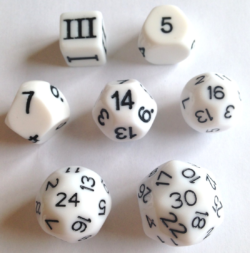 The family needs to keep growing so you get more dice, but without people becoming black sheep themselves because of jealousy (“You keep giving money to my sister!”), depression (“I didn’t want to marry her!”), or other eventualities (“He only started drinking after not getting job offers for years!”). You lose if you get bankrupt. You win if you get rid of all the black sheep, by marrying them out of the family, or helping them turn their lives around. I am hoping to work on Black Sheep this year too. I know the likelihood of finishing all these different projects in 2019 is small, but I think they are all good ideas and I will be happy just making some progress on them all. If I don’t end up under a ton of cardboard and plastic, I will keep you informed on how things go as the year goes by.